Meet the staff of the Plains Indian Museum at the Buffalo Bill Center of the West, Curator Rebecca West and Curatorial Assistant Hunter Old Elk. Plains Indian Museum staff: Curator Rebecca West. 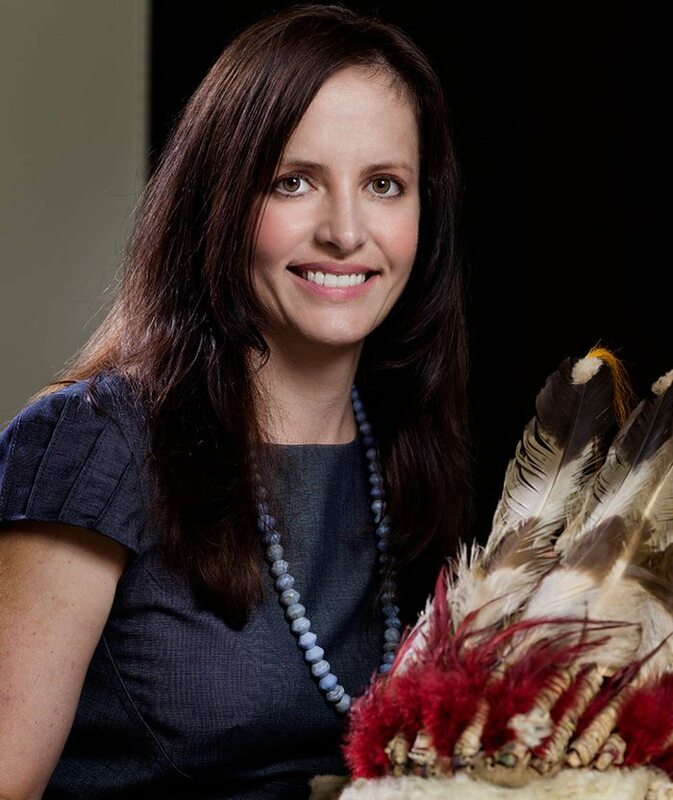 Rebecca West is Curator of Plains Indian Cultures and the Plains Indian Museum at the Buffalo Bill Center of the West. She works with the people, objects, ideas, and programs that define the Plains Indian Museum. Current research endeavors include a focus on the Plains Indian Museum collections as they relate to contemporary Indian cultures and broader social relevance to American and international audiences. West serves as the Native American Graves Protection and Repatriation contact for the Center and has contributed articles, presentations, and publications relating to the histories and material cultures of Indians of the Northern Plains as well as on the subject of contemporary Indian art. West was formerly the Assistant Curator for the Plains Indian Museum. During her tenure at the Center, West has assisted with major in-house exhibitions, permanent gallery installations such as the Plains Indian Museum reinstallation, as well as traveling exhibition development, including current work on Legacies: Indian Art from the Paul Dyck Collection. West actively develops and implements outreach activities for diverse audiences and also manages the care, storage, and exhibition of the Plains Indian collections. She has coordinated the Annual Plains Indian Museum Powwow for more than ten years. West holds a BA in art history from Dartmouth College and a Masters of Liberal Studies from the University of Oklahoma with a focus on the culturally based symbolic use of color by contemporary Indian artists. Plains Indian Museum Staff: Curatorial Assistant Hunter Old Elk. Hunter Old Elk is a member of the Apsáalooke (Crow) and Yakama Nations. She grew up on the Crow Indian Reservation in southeastern Montana. Old Elk earned a bachelor’s degree in Art with a focus on Native American history at Mount St. Mary’s University in Maryland. As the Curatorial Assistant for the Buffalo Bill Center of the West’s Plains Indian Museum, Old Elk uses museum engagement through object curation, exhibition development, social media, and education to explore the complexities of historic and contemporary Plains Indian culture. She is especially inspired by the lives of Native women who lived and thrived on the Plains. She is also the coordinator and point of contact for the Annual Plains Indian Museum Powwow. Emma Hansen is Curator Emerita and Senior Scholar. 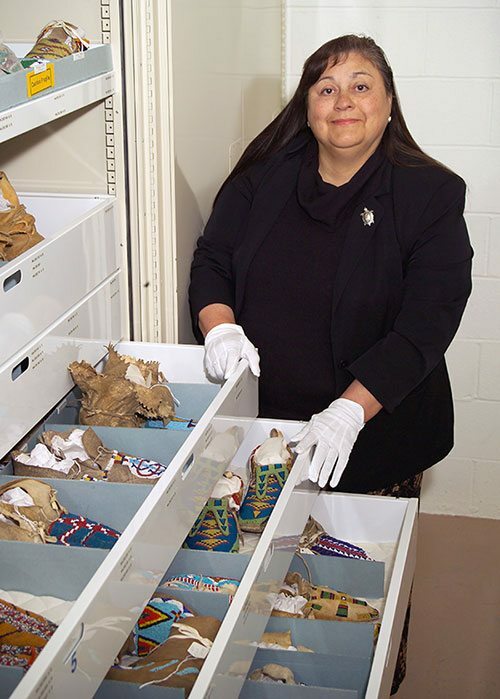 After many years as Curator of the Buffalo Bill Center of the West’s Plains Indian Museum Emma I. Hansen is now Curator Emerita and Senior Scholar at the Buffalo Bill Center of the West. 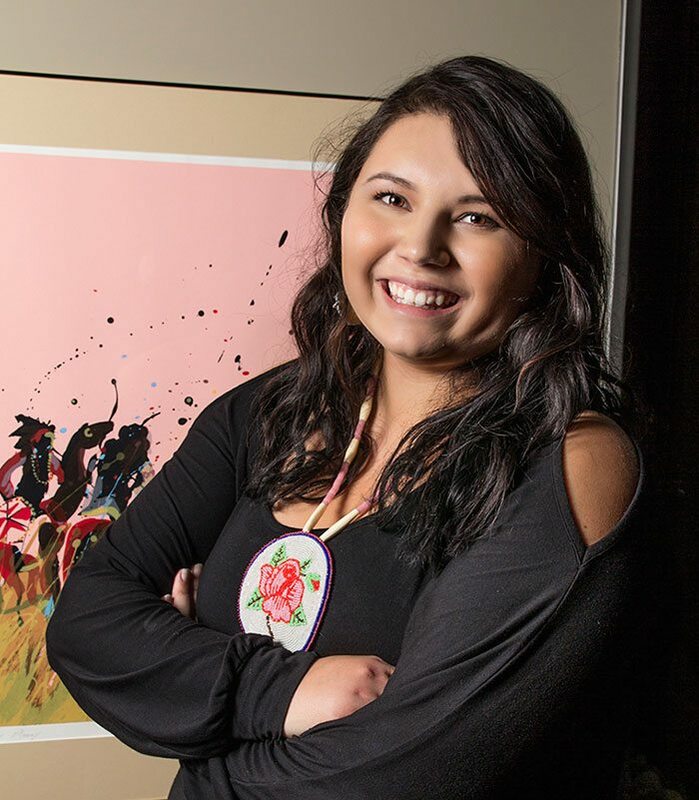 Her major focus is the creation and publication of a definitive work on the Paul Dyck Plains Indian Buffalo Culture Collection, as well as consulting on various projects. Plains Indian Buffalo Cultures: Art from the Paul Dyck Collection, Hansen’s most recent book, was published in 2018. Her previous book, Memory and Vision: Arts, Cultures and Lives of Plains Indian People, published in 2007. Both are available in our Center Store, and online.